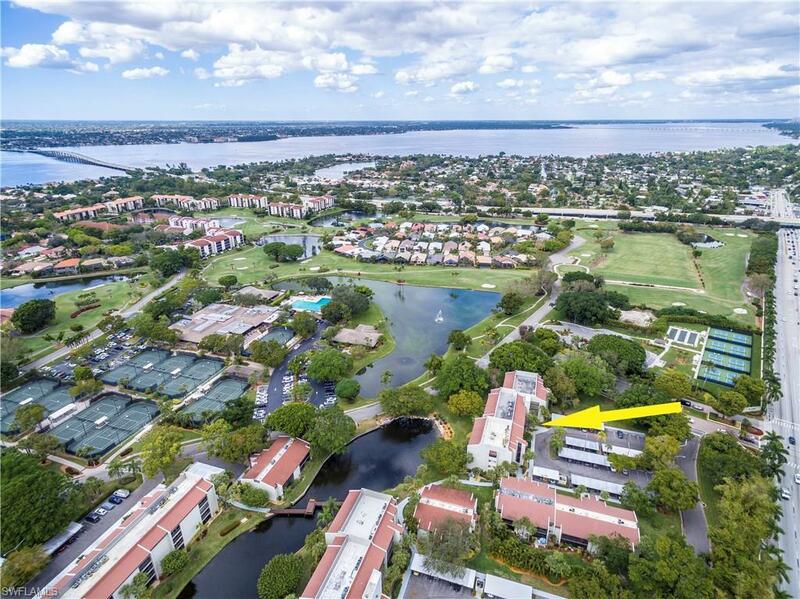 GOLF, TENNIS, PICKLEBALL, BOATING AND FISHING LOVERS - - DON'T MISS THIS BEAUTIFUL FIRST FLOOR UNIT ACROSS FROM THE CLUBHOUSE! This GEM has been meticulously maintained as a tropical getaway and is being sold fully furnished at this great price. Rent it for the income or move in this month. 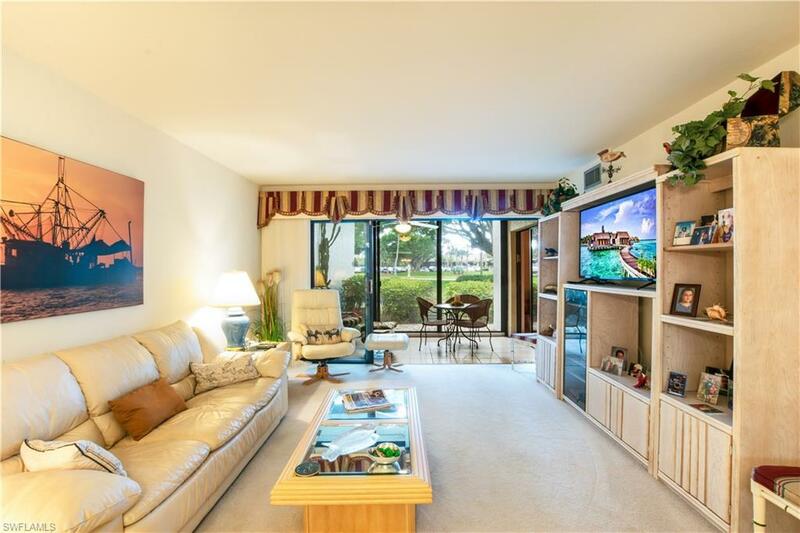 Have lunch with friends at the clubhouse, or just curl up with a good book on your 4 Season Lanai with a Garden View. You can't beat the value. Second home buyers can potentially collect more than $75,000 in Rental Income over a 5 year period. Have your lush tropical getaway at a top world known resort destination or invest in real estate and improve your cash flow. 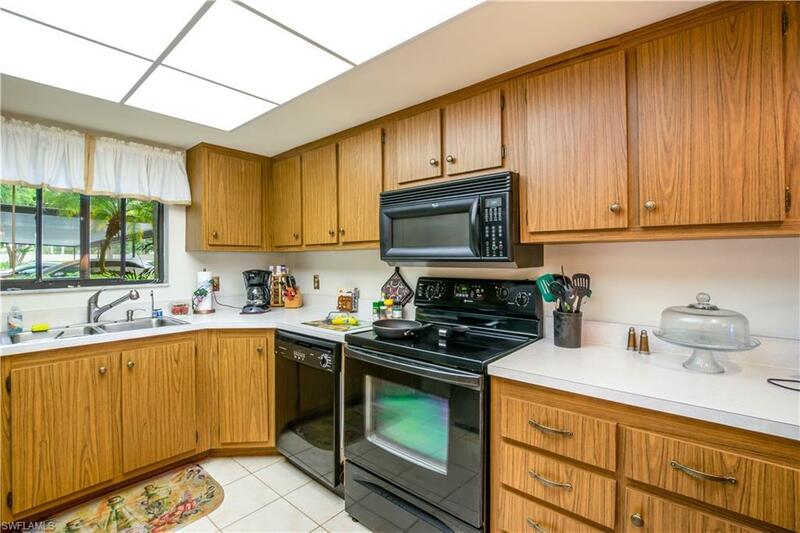 This CARE FREE CONDO is located in a Premium Location close to Beaches, Sanibel Island, SW FL Int. Airport, Fenway South and the Red Sox and MN Twins Stadiums, the Downtown River District, the Ferry the Key West, Restaurants, Shopping, Theaters and More! The Landings has 24/7 Gated Security, Two Restaurants, an 18 Hole Executive Golf Course, 14 Tennis Courts, Several Pools and Gulf of Mexico Access. This is a fabulous price point on Historic McGregor Blvd. 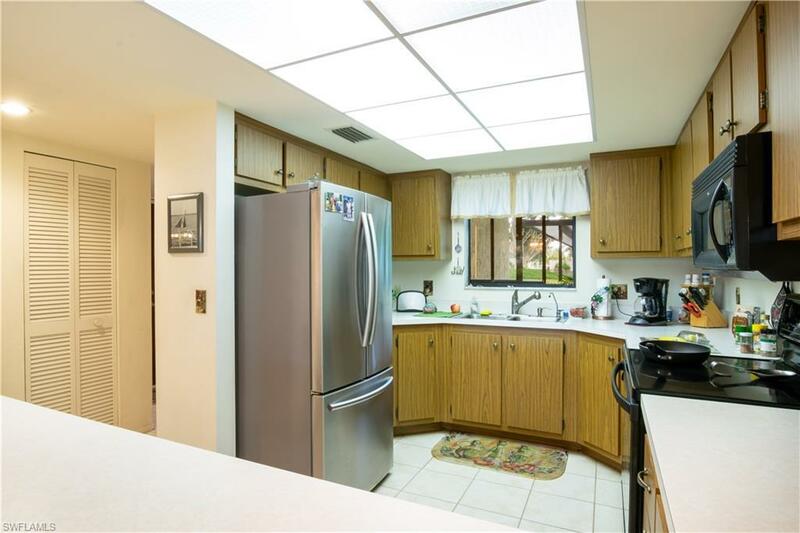 Please call today to view this premium ground floor charmer! Listing courtesy of Laurie Johnstone of Coldwell Banker Residential Re. © 2019 Florida Gulf Coast Multiple Listing Service, Inc. All rights reserved. The data relating to real estate for sale or lease on this web site comes in part from FGCMLS. Data deemed reliable but not guaranteed.IDX information is provided exclusively for consumers' personal, non-commercial use and may not be used for any purpose other than to identify prospective properties consumers may be interested in purchasing. Information is deemed reliable but is not guaranteed accurate by the MLS or John R Wood Properties. Data last updated 2019-04-26T11:22:37.753. The data relating to real estate for sale on this limited electronic display come in part from the Broker Reciprocity Program (BR Program) of M.L.S. of Naples, Inc. Properties listed with brokerage firms other than John R Wood Properties are marked with the BR Program Icon or the BR House Icon and detailed information about them includes the name of the Listing Brokers. The properties displayed may not be all the properties available through the BR Program. The accuracy of this information is not warranted or guaranteed. This information should be independently verified if any person intends to engage in a transaction in reliance upon it. Data last updated 2019-04-26T11:25:38.263. Some properties that appear for sale on this website may no longer be available. For the most current information, contact John R Wood Properties, 941-726-2917, bouncedemail@boomtownroi.com. Licensed in the State of Florida. The data relating to real estate for sale displayed on this Website comes in part from the Multiple Listing Service of the Bonita Springs-Estero Association of REALTORS®, Inc., under License No. 3035763. Properties displayed on this Website include properties listed with brokerage firms other than John R Wood Properties. Detailed information about such properties includes the name of the brokerage firm with which the seller has listed the property. The properties displayed may not be all the properties listed with brokerage firms participating in the Bonita Springs-Estero Association of REALTORS® Multiple Listing Service, or contained in the database compilation of the Bonita Springs-Estero Association of REALTORS® Multiple Listing Service. Data last updated 2019-04-26T11:28:22.933.